New Year, New Grace. A lot can happen in a year. The above photo was taken at our former location in September of 2014.Through planning, perseverance, and grace, the photo below was taken at our completed new facility in November of 2015. I don't think their smiles can get any bigger! The move from a 17,000 sq. ft. space into 45,000 sq. ft. space attracted a lot of attention from the local media outlets. 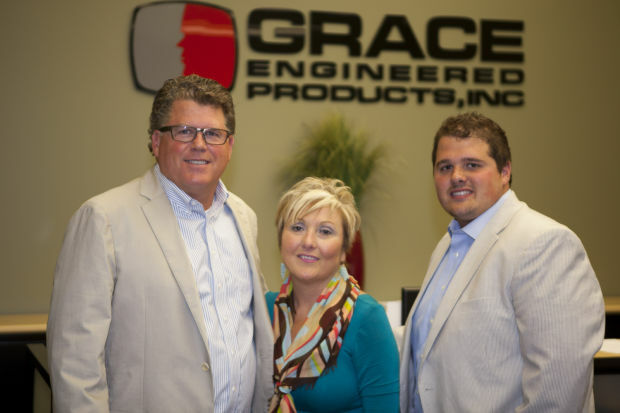 One source, The Dispatch/Rock Island Argus, wrote a Faith & Values based piece on how our success is measured by God's grace and our faith in Him has helped nurture and foster our growth. Another local newspaper, The Quad City Times, got in touch with us after we completed our move. A year prior, they wrote an article on our plans to move into a bigger facility. Now that it has become a reality, they wanted to follow-up with 5 questions for Phil Allen. So what will 2016 bring? How will we continue to grow and meet not only our potential as a company, but also as individuals? It's a new year for a new Grace, and all I can say and speculate on is my excitement to be a part of the next chapter. Speaking of change, what's changed in the NFPA 70E this year? 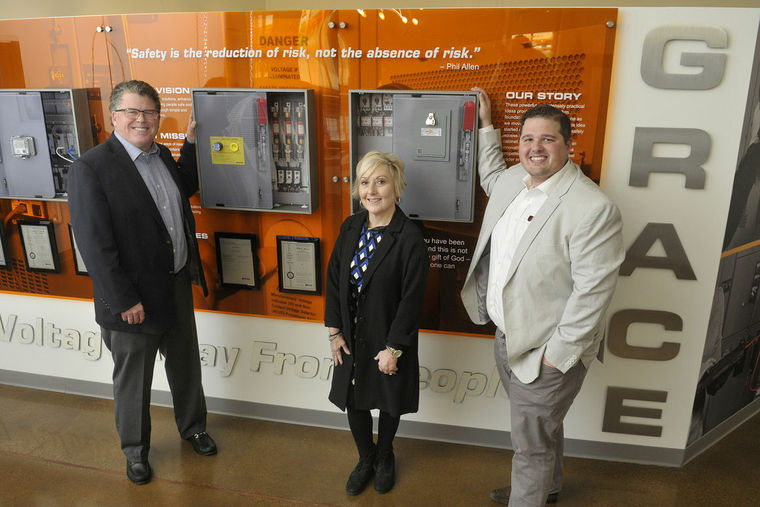 Every three years, NFPA 70E is updated to incorporate the latest in electrical safety research, risk assessments, work practices, design considerations, and personal protective equipment (PPE) in an effort to minimize of the risk of deaths and injuries caused by shock, arc flash, and arc blast. This voluntary how-to guide to assist in Occupational Safety and Health Administration (OSHA) compliance can play an invaluable role in helping plants mitigate their electrical hazards, protect workers, promote safety requirements, and keep their facilities up and running. New Year, New Grace! A lot changed for us in 2015. We're looking forward to the next phase of our journey. Hit the links above for articles of Grace's transition over the past year, and check out the video to see our booth in action with our very own host, Dan Hebeisen!